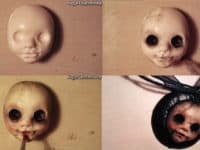 Do you remember playing with plasticine in school, rolling different shapes out of coloured clay to create all kinds of characters, creatures, and things? 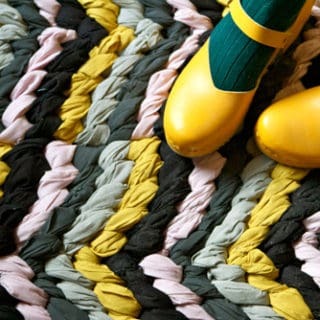 We loved playing with it as kids because you could make something and then let it dry to be kept or squish it down back into a ball full of possibilities to be used again later. 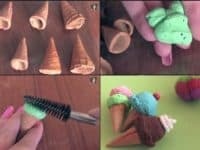 Now it’s time to show our kids how much fun plasticine can be! 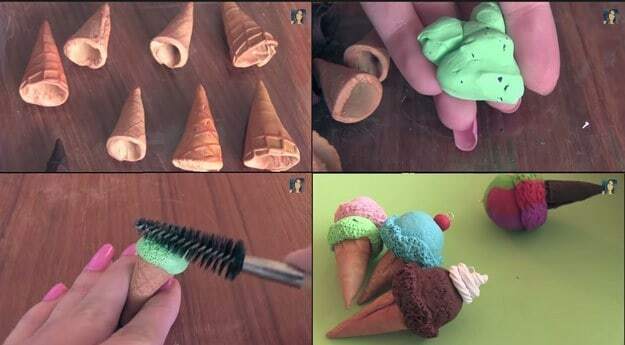 Check out these 15 plasticine craft designs that are fun to make for literally everyone! 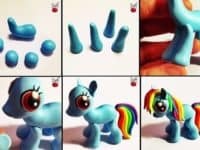 Do you or your kids absolutely love anything that involves the My Little Pony cartoons? 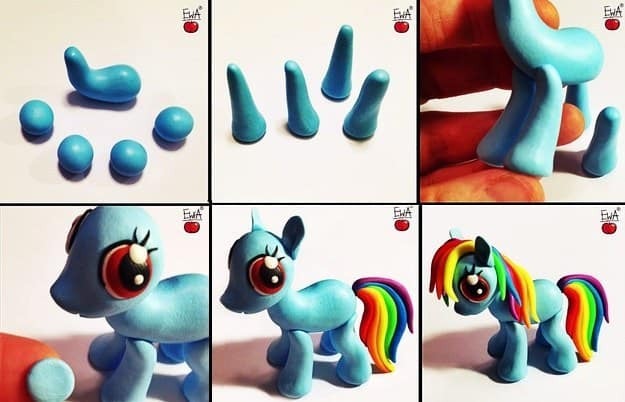 Then you’ll love this tutorial from Let’s Clay with Ewa that guides you through the process of making your very own decorative Rainbow Dash! 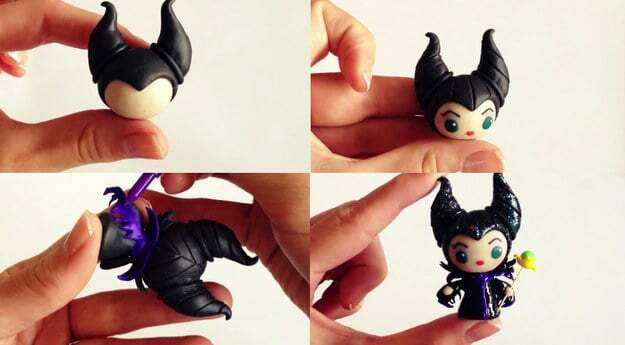 We can’t get over how awesome the individually moulded colours in the tail and main look. 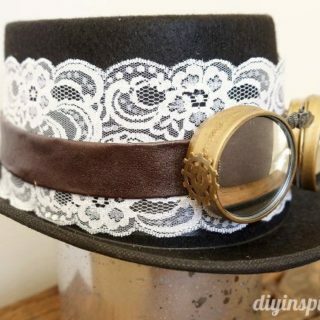 If you’re looking for a project that you can keep rather than breaking down when you’re done, then jewelry is always a good option. 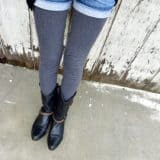 Are you also a cartoon enthusiast, but you’re more partial to Sailor Moon than My Little Pony? 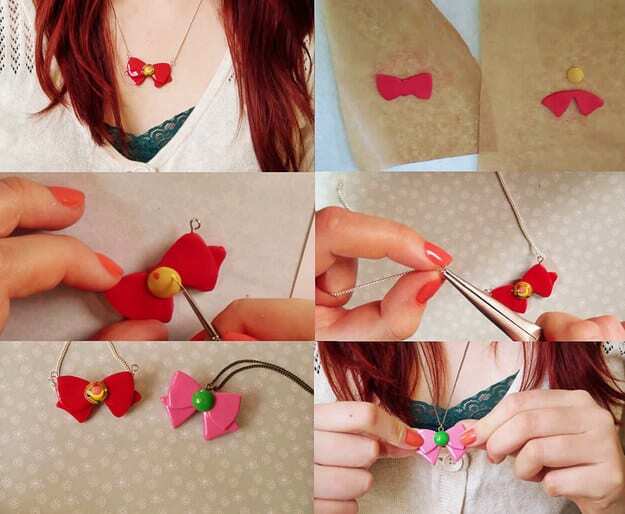 Check out how Makoccino made these adorable little Sailor Scout necklace charms! 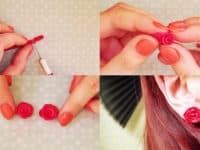 Do you love the idea of making your own clay jewelry but you’d rather make yourself a set of earrings than a necklace? 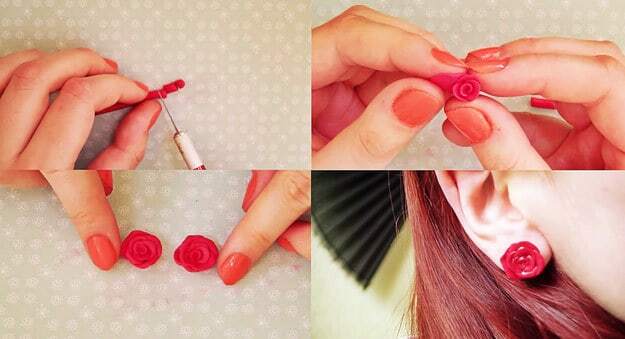 Consider these adorable little rosebuds by Makoccino! 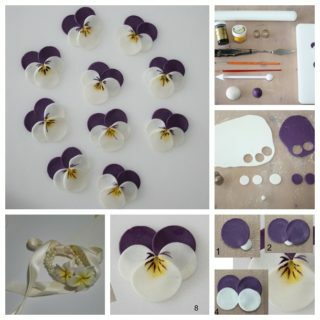 Their tutorial shows you how to make delicate little petals from thin layers of flattened plasticine moulded together and glued to posts. 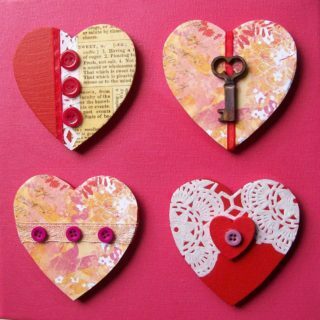 Do you love the idea of working with plasticine because it comes in so many bright primary colours and solid jewel tones? 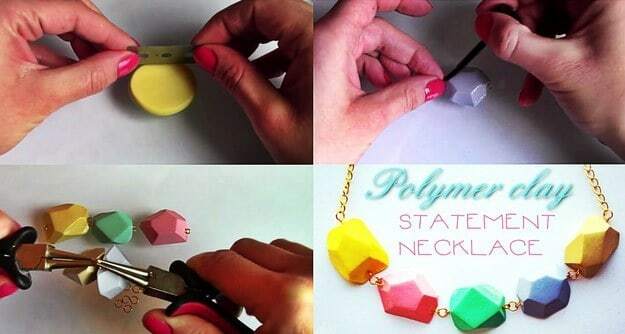 We love those shades too, especially when it comes to chunky geometric jewelry! 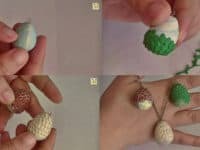 This tutorial by This Charming Stuff shows you how to not only mould the polyhedral beads, but also how to connect them using links and jewelry chains. 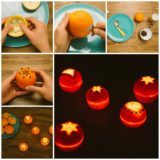 Do you have a steady hand, lots of patience, and a passion for Lord of the Rings? 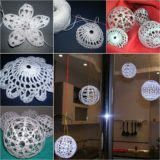 Do you find that the decorative jewelry pieces you see in the movie just aren’t in available in stores, but you still desperately want similar pieces for yourself? That’s where clay comes in to save the day! 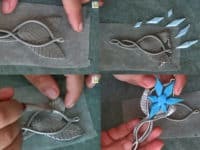 Check out this beautiful design from NerdECrafter that’s intended to look like intricate Elven jewelry! 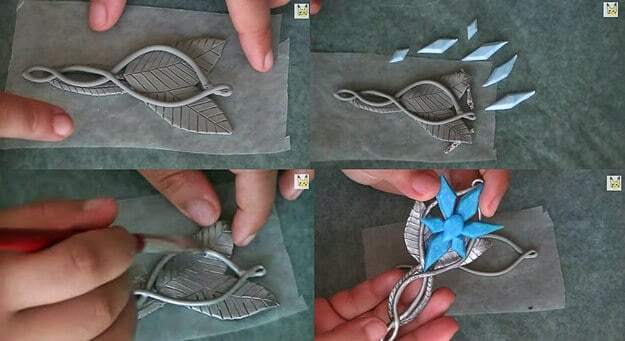 Do your kids love the move Frozen more than anything else and want anything Frozen themed they cna see or think of? 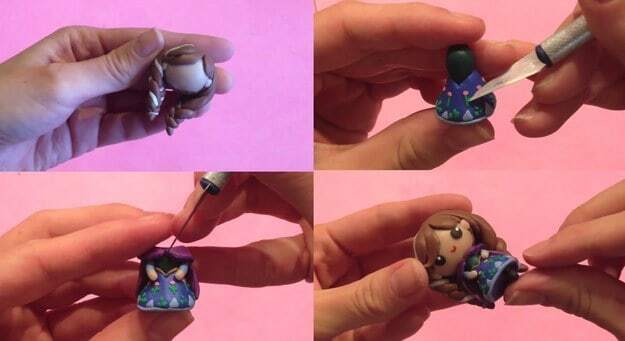 This adorable little Princess Anna figurine might be a little bit too detailed for little fingers, but it makes a great gift, or else a great opportunity for kids to help you out and learn some good hand-eye coordination skills! Check out the details on Flying Mio. 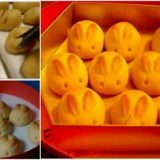 Are you in love with adorable little kawaii food accessories, but you can’t always find pieces that look like what you want? 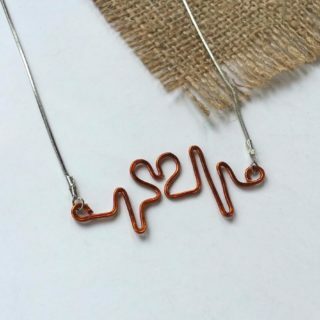 For us, that’s the biggest sign that it’s time to start making our own! 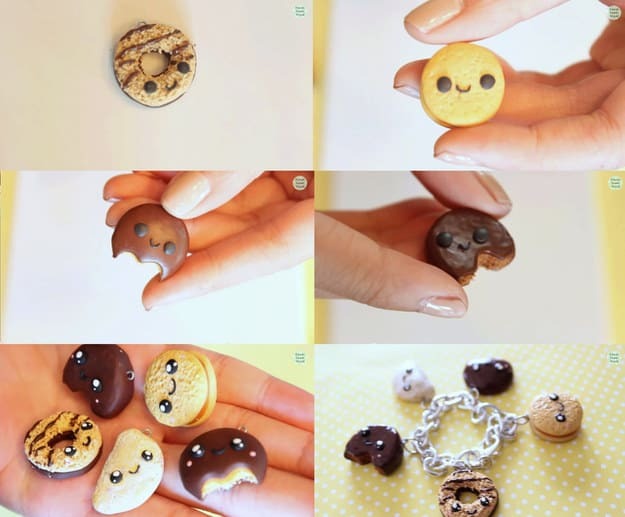 Check out these absolutely adorable, delicious, and shockingly realistic looking clay food charms with tiny anime faces by Kawaii Sweet World. 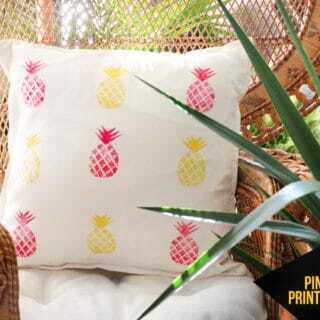 Have you been watching Game of Thrones and now you can’t even pretend to hid your obsession with dragons anymore? 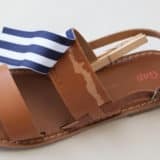 We say wear it proudly! 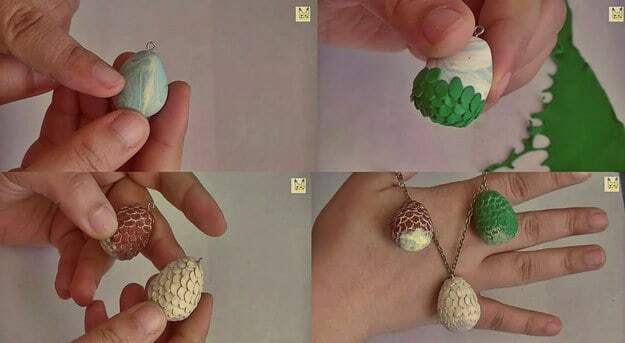 We’re not sure you’ll find a whole lot of dragon themed jewelry in mainstream stores, though, so check out this clay dragon’s egg design from NerdECrafter so you can make your own instead! 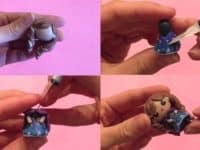 Maybe your kids are into little figurines and trinkets like we talked about above, but it’s not the Disney princesss they adore the most? Some people admire the confidence it takes to be a villain and who are we to judge? 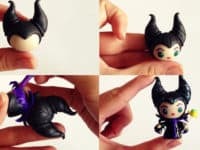 This adorable little Maleficent by Flying Mio might be the way to go! 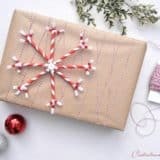 Are you in love with the idea of customizing just about everything you own to make it a lot more cute and novelty than what’s offered in stores? 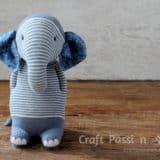 Clay is an amazing tool for that and NerdECrafter is here to show you how to get crafty with it! 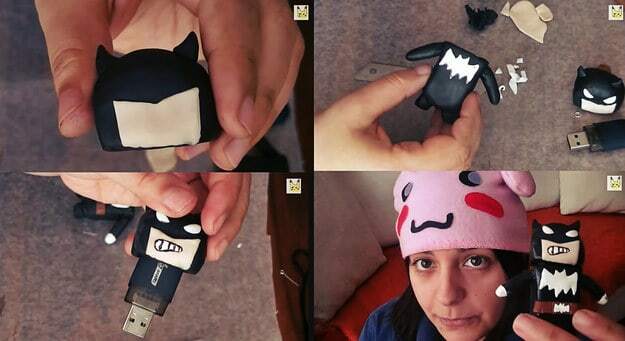 One of our favourite projects from them is this hilarious little cartoon batman that’s been built around the outside of a regular USB key. Can you tell we like the idea of recreating our favourite movie and TV show characters from clay? There’s something fulfilling about bringing the person, thing, or cartoon to life with your own hands. 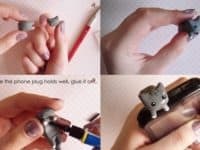 In case you’re a huge fan of Adventure Time, here’s an awesome guide from Roart for making your own Princess Bubblegum. 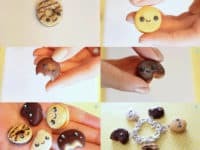 Do you love the idea of making your own jewelry pendants from clay but the bright, cutesie ideas we’ve posted so far aren’t quite your style? 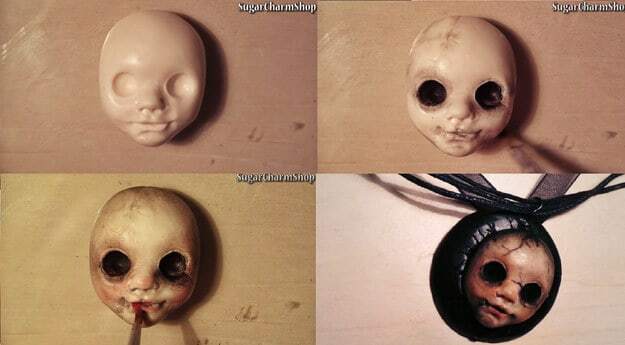 Check out this beautifully creepy doll face pendant moulded and painted by Sugar Charm Shop that deviates from the norm but still gives you a fun, rewarding project that you’ll be proud to wear (even if others are a little creeped out to see it). 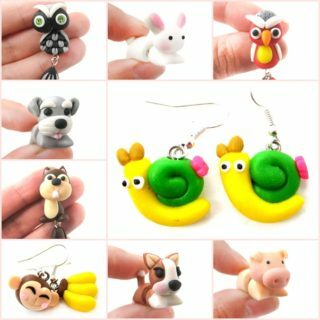 We’ve shown you a couple of clay earring designs on this list, but most of them have been quite pretty rather than novelty. 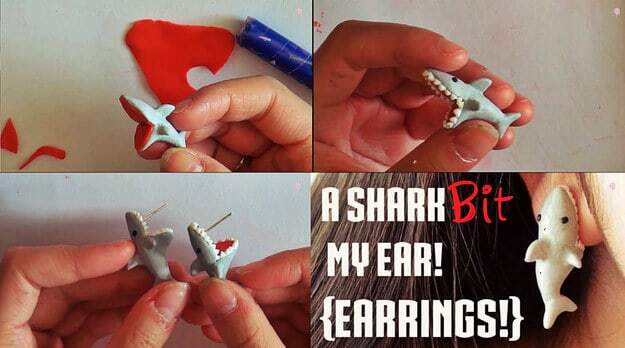 If you’d rather something with a little more humour in it, check out these hilarious little “shark bite” earrings from Joy Goodwin Arts! 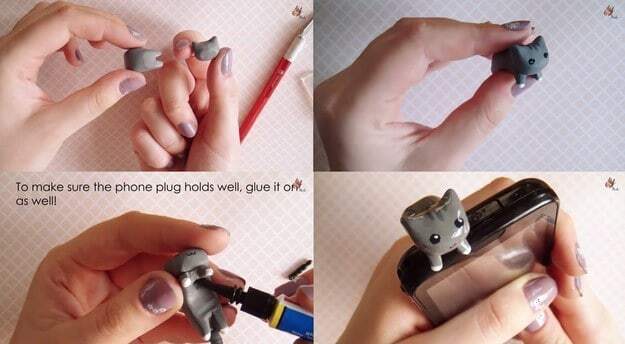 Make the clay shark with his mouth wide open and glue the earring post inside the top so it looks like he’s hanging from your earlobe by his jaws. 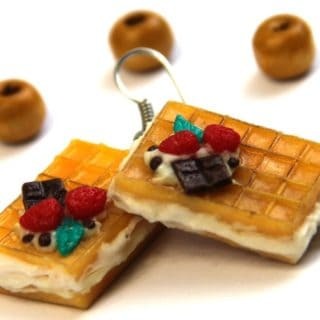 Do you remember when cell phone charms were all the rage? 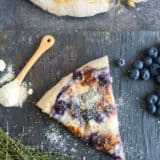 They’ve fallen out of fashion over the years, but we’ve always loved them and we’re really glad to see that they’re actually starting to trend again! 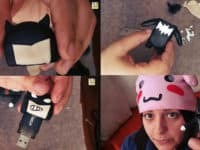 Simple shapes are best but that doesn’t mean you can’t make a clay charm that looks completely awesome thanks to small details! 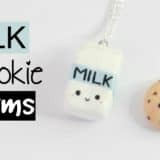 We’re so in love with these little ice cream cone charms from So Craftastic that we have to sign off this post now so we can go make ourselves some.